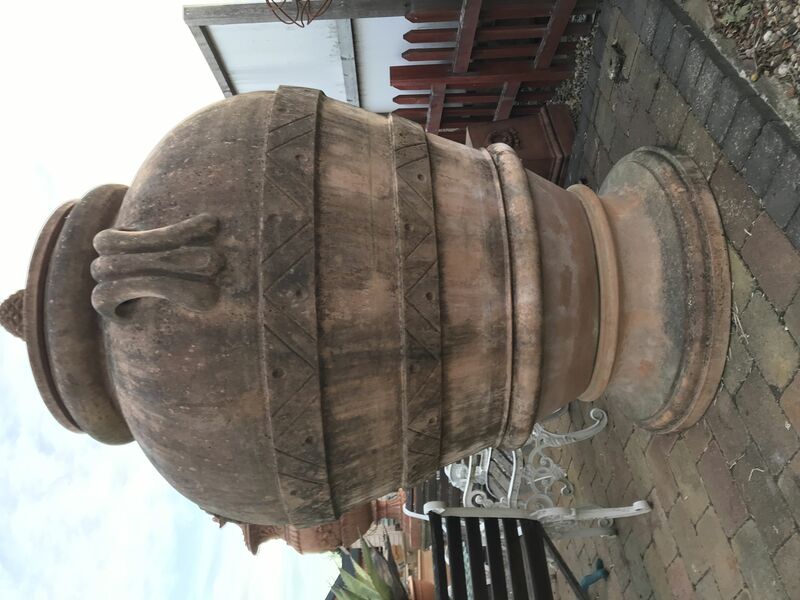 A most stunning old large Orcio pot - olive jar . 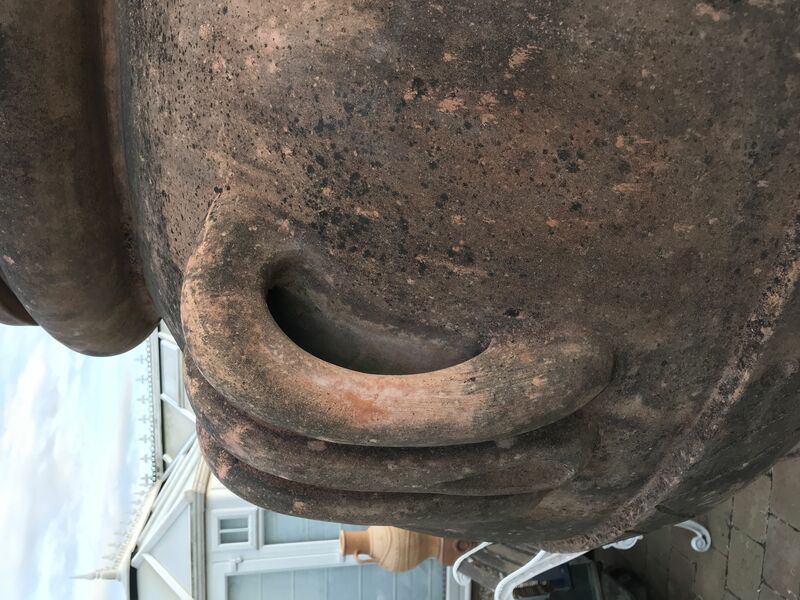 Terracotta pot. 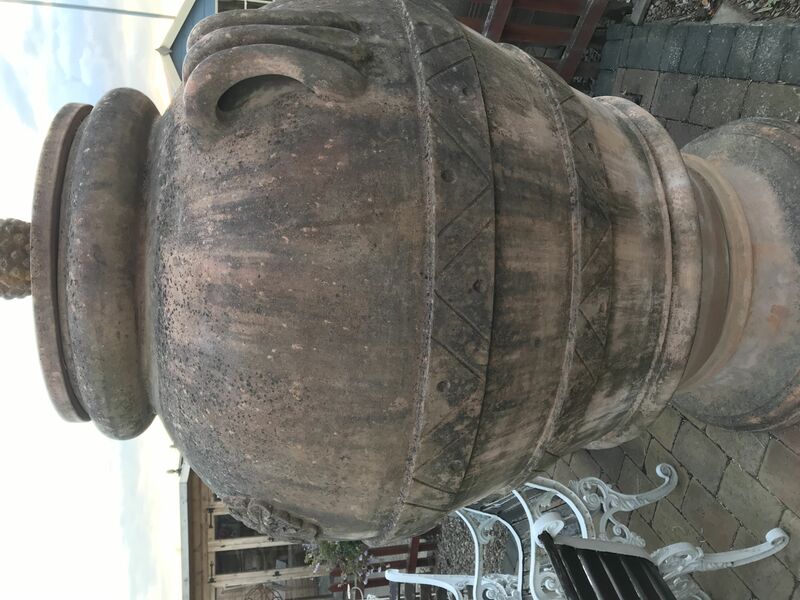 Well aged with a great patina. very impressive size a superb feature. 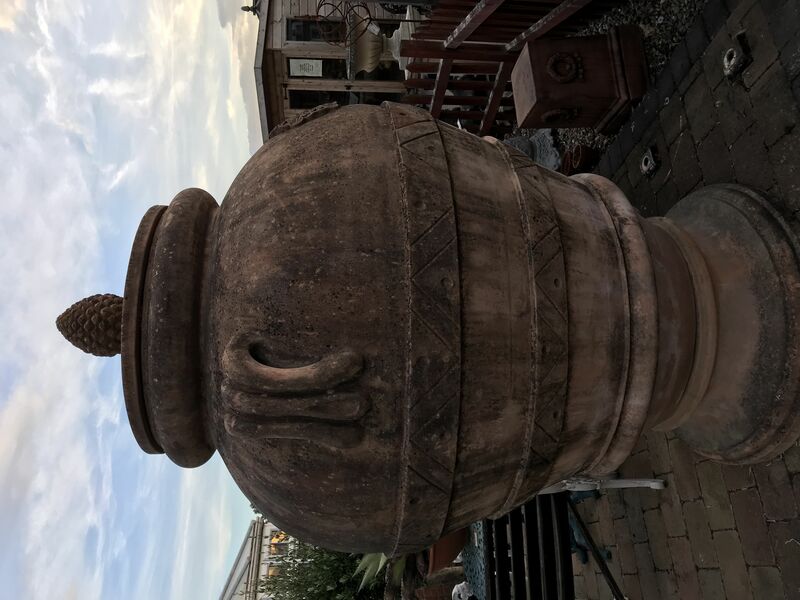 The jar is 192 cm tall from the floor to the top of the lid. 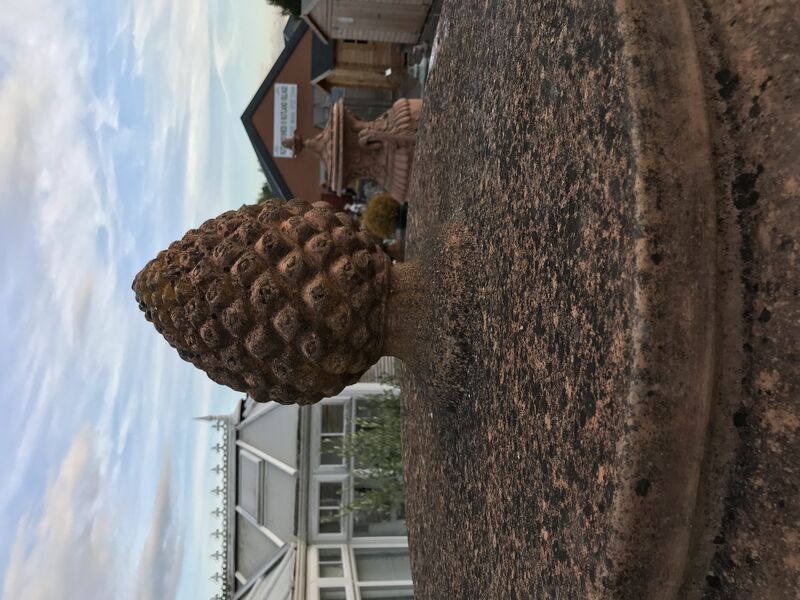 210 cm tall to top of finial. 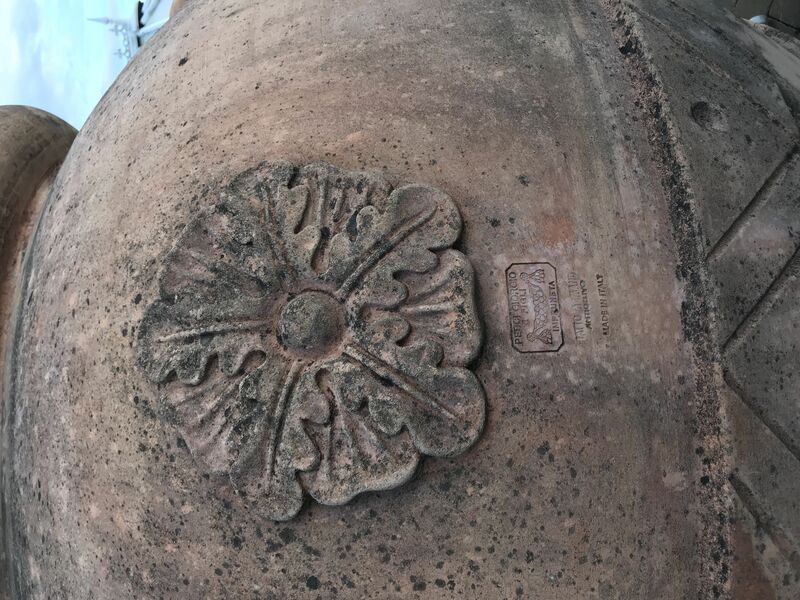 The so-called cotto dell'Impruneta owes its success to the peculiar properties of the clay found in the area, which is rich in iron, extremely malleable and both elastic and resistant. 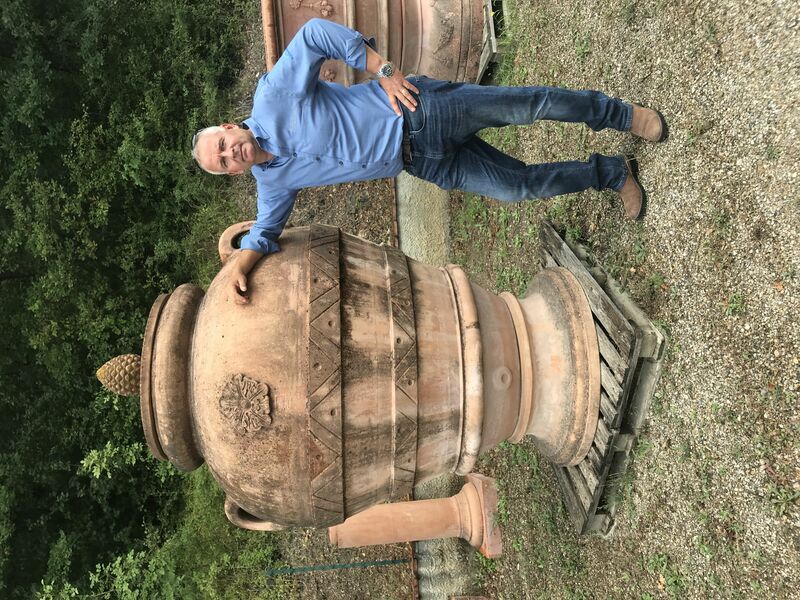 The clay comes from Impruneta and surroundings, for example from the smaller villages of Ferrone andTavarnuzze and from the Val di Greve area. 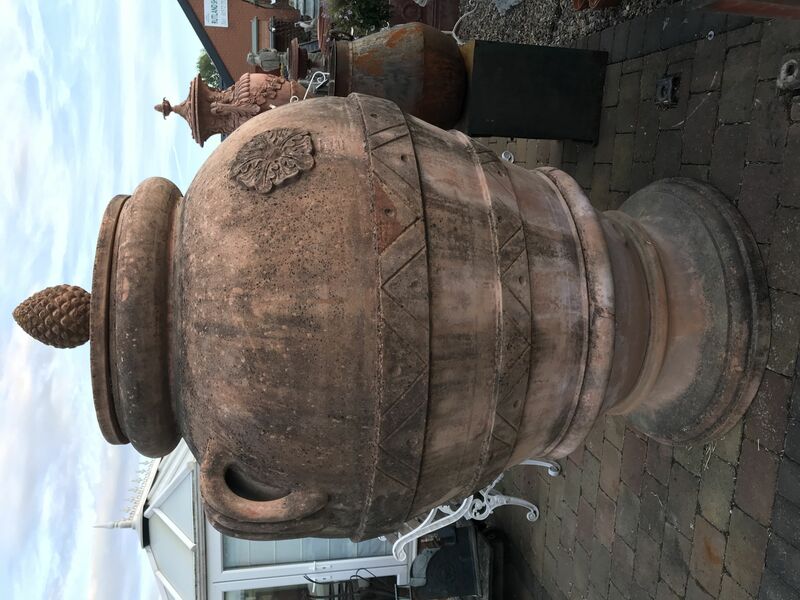 The most common terracotta products that are made here are vases, pots and statues, many large and small orci, which is the italian for a peculiar kind of terracotta vase. Also traditionally produced and used to carry high quality olive oil and wine (also produced in the region).